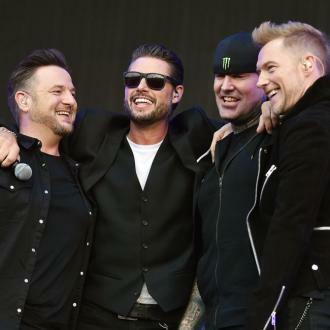 Boyzone will bid farewell with a final tour in support of their last ever album 'Thank You & Goodnight' next year. 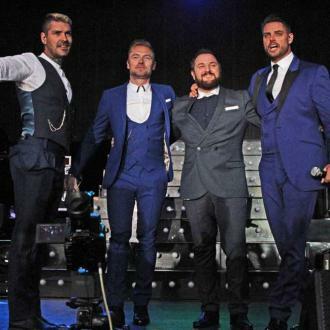 Boyzone have announced a farewell tour to accompany their final album, 'Thank You & Goodnight'. 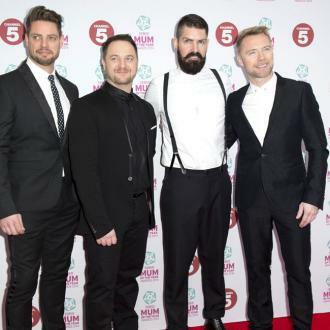 The Irish band - comprised of Ronan Keating, Keith Duffy, Mikey Graham and Shane Lynch - will go their separate ways after their upcoming 25th anniversary tour and album, a tribute to Stephen - who tragically died suddenly in 2009 of a congenital heart defect. The run will kick off at The SSE Arena, Belfast, on January 23, and wrap at Bournemouth International Centre on February 9. However, first the band will release their final record on November 16, which features collaborations with Ed Sheeran on 'Because' and the track 'Love' with Take That's Gary Barlow. Reflecting on the their 25-year career, the band said: ''When we started out as five young Dublin Northsiders, eager to face the world, we never imagined that we'd still have an army of fans some twenty-five years later ... If you'd seen our famous first TV appearance on 'The Late Late Show,' you'd probably be surprised too! ''But what followed was the stuff of dreams. We've played stadiums and arenas all over the world, released six albums, and had almost two-dozen hits. Ronan, Keith, Mikey and Shane admit that while there have been many high points, they'll never get over the death of their beloved bandmate. They said: ''We've had some tough times too. The loss of Stephen left scars that we will carry as a band forever. As a touching tribute to Stephen, the 'No Matter What' hitmakers have re-worked one of the late star's solo songs, 'I Can Dream', which was meant to go on the singer's solo LP 'New Beginning' in 2002. It was an emotional experience for the band to hear their voices aligned with Stephen's again. ''We came across a demo that he originally recorded for his solo album in 2002 and we've had the opportunity to re-work the song and add our harmonies alongside his lead vocal. ''It was a bittersweet experience to hear all our voices together again. ''It's the closest the five of us will ever get to being in a room together again making music. And we're also eager to invite you all to one final celebration of 25 of Boyzone and our journey together. ''We would love for you to raise the roof one last time as we head out on our farewell UK and Ireland arena tour. Tickets for their finale tour go on general sale on June 22.